LAKE OSWEGO, OREGON, UNITED STATES, July 9, 2018 /EINPresswire.com/ -- Daniel Alexander Griffin, a sports industry executive and the founder of Afterball Solutions, recently unveiled his latest product, the Hoodless™. The Afterball™ Hoodless™ gives you everything you want from your hoodie, minus any negative stereotypes associated with it. By removing the hood, you still have the same fit, comfort and functionality you love without any unnecessary fabric getting in the way. skinheads, punks, gang members and thieves. The hoodie could be the most complicated garment in history! The new Afterball™ Hoodless™ will rival the entire hoodie/sweatshirt industry. Hoodies are one of the most popular pieces of clothing in the world. Sweatshirts make up over 11% of the of the apparel industry. In 2018, retail sales of sweatshirts are projected to exceed $53.4 billion in the US alone. 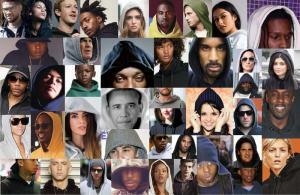 Not only do millions of people own multiple hoodies - many of them wear them every day. “Whether it's for a fashion statement, comfort or showing support for your favorite team, the Afterball™ Hoodless™ will have a special place in consumer's lives" said Griffin. Individuals interested in learning more about Afterball™ products or purchasing the new “Hoodless™, please visit the company website http://www.afterball.net/ for additional information. You can also email at dagrif1@gmail.com or call: 971.409.0009.